That’s the name of the game with each and every single one of your campaigns. Whether it’s an eBook that you want to promote, a subscription to a service, or a new product line, your success is measured in conversions. Nothing else. Not site traffic, social shares, likes or followers. These are vanity metrics. What you need is conversions, and conversions are the one and only goal of landing pages. Why Do Landing Pages Work? The reason is simple – direction. Your landing page is the bespoke web page that you create to make the “sign-up” or “buy now” conversion an absolute breeze for your prospects. When you create a PPC, email marketing or social media campaign, directing people who click on your CTAs to your general website is a risky business. How can you be sure that these visitors will find what they’re looking for? That’s right, you can’t. Who’s going to click around to find the link to the eBook you want them to download, or search your product catalogue for that pair of pink fluffy handcuffs you’ve just offered a 50% discount on? No, the modern internet user doesn’t want to have to think for themselves – not to this extent, anyway. And this is where your landing pages come in. If you’ve crafted a strong campaign and have enticed a user to click on your CTA, rather than throwing them into the vast wilderness of your website, you instead direct them to a specially designed landing page that keeps them on the path that you want them to follow (i.e. towards that conversion). 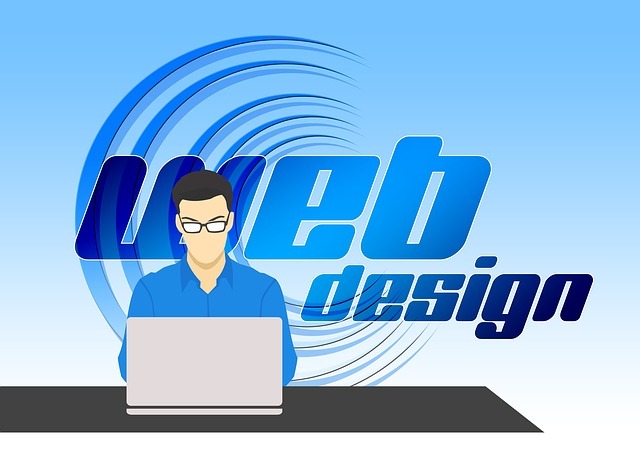 Landing page design is somewhat of an art form that many marketers spend years perfecting. Thankfully, we can use all of their hard work and dedication to summarise what constitutes a good landing page very simply – and use their examples as templates for our own landing pages. It’s not cheeky, it’s just good sense. Pablo Picasso once said that “Good artists borrow, great artists steal” – so let’s be great artists and find out what insights we can plunder from existing landing page design. I’m going to try and hammer home the point once more – the whole purpose of your landing pages is to increase conversions. By this I mean that, essentially, you should have already done a lot of the hard work before anyone actually arrives at one of your landing pages. They will already know all about you and your brand, the products and services you offer, even the very thing that you’re trying to persuade them to buy/download/subscribe to on your landing page. Very little of any of this information, therefore, needs to be cluttering up your landing page. All you’re trying to do is coax visitors over the finishing line – and that means that simple is best. Whereas your web pages may have a number of goals, your landing page only has one – to complete a conversion. Let’s take a look at an example so you can see what I mean. Ok, a few things to note on this brilliant landing page from Unbounce (and you’d hope that if anyone would be getting it right, it would be these guys). First, the section that I have outlined in red is what appears above the fold (i.e. the section of a web page that is viewable on a screen before a user has to scroll down). This is the most important part of a landing page, so let’s begin our focus here. First, the copy. It’s clear, simple, and importantly informs the visitor in just 7 simple words exactly what they are going to get, rather than what they have to do. Secondly, the overall design. There are just 4 elements. The branding, the copy, the CTA, and the supportive images. Bish, bash, bosh, boom. There is no clutter, and everything is designed to point towards that bright and crisp CTA button. Thirdly, that subtle directional cue just below the CTA – i.e. the white arrow. When you visit this page, this arrow is actually animated, bouncing gently up and down, silently coaxing visitors to click that button. Of course, some people will need one last reminder that they really do want to take up what the landing page is offering, and so below the fold Unbounce has taken to opportunity to list quite a detailed summary of what subscribers can expect to receive in exchange for a sign-up. But the key is that this info is very neatly packaged. A list of 11 features, 10 conversion professionals that will be offering advice, and one more call to action down the bottom so users don’t have to scroll up to the top again. None of this, it should be noted, distracts from the overall goal of the page, which, as we remember, is simply to clock up conversions. And there’s an SEO benefit of this added copy as well – there is more crawlable material for search engines. Getting landing page design right is a tricky business. Since simple is best, there are only a few elements that can be optimised – but optimised they must be. And so, when designing your landing pages, you will need to be running a few A/B split tests to make sure everything is performing at optimal levels. When you run a split test, you basically provide half of a segment of your audience with one version of your landing page, and the other half with a slightly varied one. Measure the results that you get, and the one that produces the most conversions should be rolled out to the rest of your visitors. Repeat the process with all other elements. Again, simplicity is key here. The modern internet user doesn’t want to have to fill out endless reams of information, nor indeed divulge too much about themselves to a business. The solution, then, when driving for conversions is to keep the information you require from users down to a minimum. If you can get away with just their name and email address, then leave it at that. However, if you’re asking them to buy something, then you still need to ensure that you make it as simple as possible. Name, email, billing and shipping address. You don’t need anything else, so don’t ask them for it – it’s just off-putting. And, if it’s a sign-up that you’re after, enabling your users to sign up with a social account makes the whole process even easier. You will have to invest in this technology, however, but if you can budget for it, then do so – more conversions will be headed your way. I’ll leave you with another couple of great examples I’ve taken from the HubSpot blog post ‘16 of the Best Landing Page Design Examples You Need to See’, and I encourage you to take a look at the whole list and steal all that you can!! Need help in designing and assigning landing pages to your domain? No worries, we’ve got it all covered here at My Social Agency. Please use our Contact Page to start a conversation that will see your campaigns get more conversions.